Harry Middleton has become the latest young player to sign a new extended contract with Doncaster Rovers. 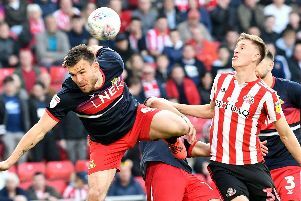 The Doncaster-born midfielder - who has impressed in a holding role under Darren Ferguson - has penned a new three-and-a-half year deal until 2019. Cedric Evina and Mitchell Lund have also signed new terms over the last week. Middleton, 20, said at today’s pre-match press conference: “Me and Mitchell are buzzing about our new deals. We are good friends and love this club.